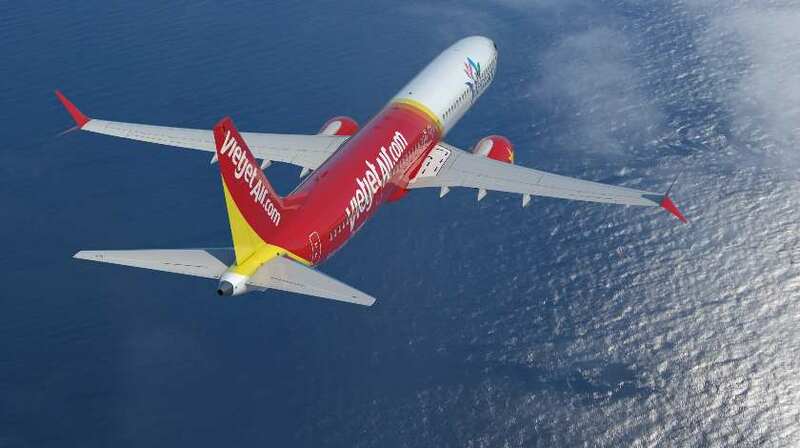 Vietjet and the airplane manufacturer Boeing Company officially inked a major deal for the airline to purchase 100 new 737 MAX airplanes worth US$12.7 billion, according to the manufacturer’s list prices. Vietjet President and CEO Nguyen Thi Phuong Thao and Boeing Commercial Airplanes President & CEO Kevin McAllister jointly signed the aircraft-purchasing deal, which was witnessed by Vietnam Communist Party General Secretary and President Nguyen Phu Trong and United States President Donald Trump. The event took place during the important United States – North Korea Summit in the capital city. Speaking at the ceremony Boeing Commercial Airplanes President & CEO Kevin McAllister said, “We are pleased to expand our partnership with Vietjet and to support their impressive growth with new, advanced airplanes such as the 737 MAX. We are confident the MAX will help Vietjet grow more efficiently and provide great travel experiences for their passengers. Vietjet President and CEO Nguyen Thi Phuong Thao said: “The deal for 100 new airplanes and other agreements for 200 B737 MAX airplanes today are important moves for us to meet our international flight network expansion plan with a higher capacity, thus offering our passengers more exciting experiences when being able to fly to more new international destinations.